PEKING DUK | WOLLONGONG | EXCLUSIVE PRE SALE TICKETS – ON SALE NOW! 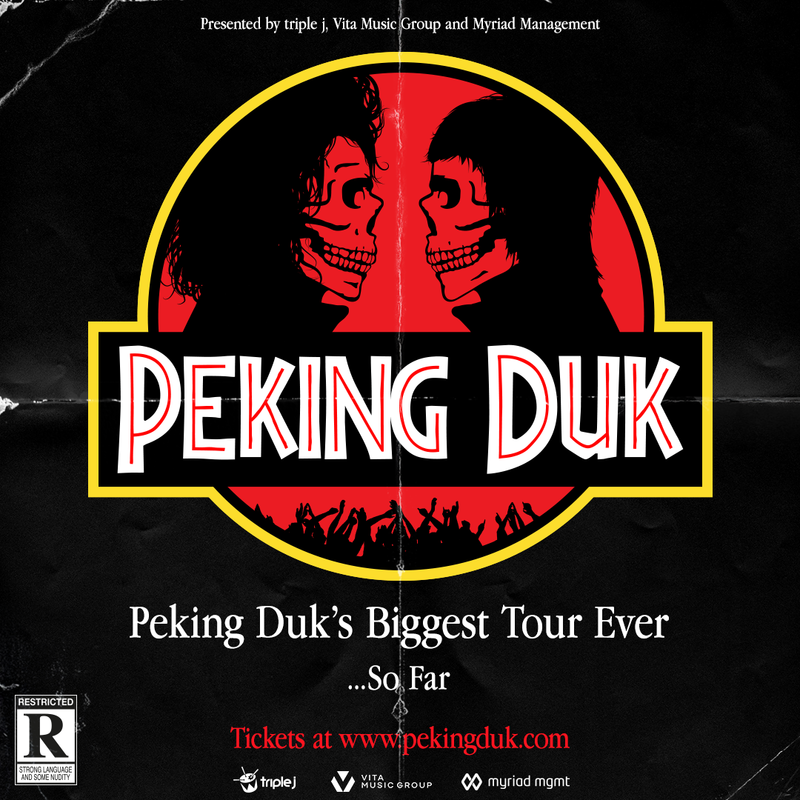 Australia’s favourite duo Peking Duk return in 2019 with their Biggest Tour Ever. After selling out The Wasted Tour across Australian capital cities, Peking Duk will share the epic live show and reveal brand new music to 50,000 fans across capital cities and regional areas. Over 3 months starting in March, The Biggest Tour Ever will hit Canberra, Byron Bay, Brisbane, Wollongong, Sydney, Coffs Harbour, Cairns, Townsville, Airlie Beach, Launceston, Hobart, Adelaide, Perth and Melbourne.